Used for Hoels, Resturant, Canteen, Community etc. 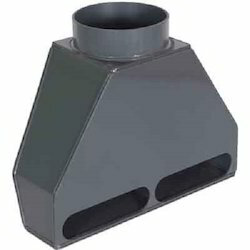 KITCHEN EXHAUST HOODS FABRICATED FROM GI / SS materials of construction with Oil Drip Filters. Reputed restaurents are using SYMBIOSIS Kitchen Exhaust Hoods for their ventilation systems along with SYMBIOSIS Brand Blowers / Ducts and ventilation accesories. We provide Kitchen Hood Ventilation System for cruise and ships. Crusing is increasing in popularity. In order to offer a better orientation to the customers, independent testing institutes rely on obligatory evaluation standards. Beside the quality of the accommodation, catering and service, security plays a major role at sea. Prestige Kitchen Hood AKH 900 CB (B Series). Prestige Royale Hoods are engineered to suit your needs offering a modern solution to your kitchen. Choose from a wide variety of stylish and innovative products which blend perfectly with your modern kitchen. Due to the vast acquaintance, our firm is accomplished to present Exhaust Hood to our patrons. We also manufacture & supply a wide range of Kitchen Exhaust Hood from quality raw material such as stainless steel with stainless steel filters, for use in commercial kitchens and industries. Our Kitchen Exhaust Hood are highly appreciated for their special feature of controlling pollution. In order to keep pace with never ending demands of the customers, our company is instrumental in offering Commercial Exhaust Hood. Matching up with the requirements of our clients, we are involved in offering Kitchen Exhaust Hood. 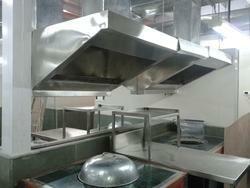 Our clients can avail from us a variety of Commercial Kitchen Exhaust Hood. These are fabricated using quality materials and in accordance with the predefined industry standards. It is efficient in removing volatile gases, smell and mist from the kitchen. Supported ourselves with proficient amenities, we are readily instrumental in providing an inclusive variety of Wall Mount Island Hoods.